Women coaches, trainers, discussion group facilitators and administrators are crucial to ensuring the success of sport programmes aimed at empowering girls. Prioritizing women for these roles creates leadership opportunities, where such opportunities may otherwise be scarce or non-existent. In all levels of organisational leadership, women have a chance to strengthen decision-making, confidence and management skills over time. Some sport programmes recruit women as staff members. The staff members are given responsibilities ranging from organisational management and administrative duties to organizing tournaments and supervising teams. In the long term, with the appropriate technical training for skill development, these girls and women can become strong candidates for positions in traditionally male-dominated sport governing bodies. The more women that are visible in these roles, such as sport referees or coaches of mixed-gender teams, the more that gender stereotypes are broken, not only for adolescent girls but also for adolescent boys and men. 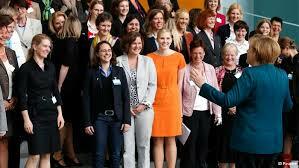 Women in positions of power within an organisation serve as strong role models for younger girls. When girls see women from their own communities in leadership positions, the possibilities for their own accomplishments become more real. Women leaders also play an important role in ensuring that girls feel safe and that their needs are met. Many coaches and trainers with whom Women Win has spoken say that girls feel more comfortable conveying their needs to women coaches, trainers and referees rather than male ones. For example, if a girl is being abused at home, in many cases she is more likely to feel comfortable communicating her situation to a women rather than a male.